Until I started touring sustainable farms, I had only thought about seeds as being GMO (genetically modified) or non-GMO. I presumed that the provenance of a non-GMO seed would have no bearing on the organic essence of the resulting plant. I had to re-evalutate this position after visiting a microgreens farm. I realized that when I eat sprouts or microgreens, I am eating plant growth that is not far removed from the seed stage. If the seed was treated with anti-fungal and/or anti-bacterial chemicals prior to sprouting, then I might be eating traces of those very chemicals. "On average, across all US crops, it is estimated that 90% of the varieties grown 100 years ago are no longer in commercial production nor are they being maintained in major seed storage facilities." Due to dwindling seed diversity, food production is threatened by disease, pests, and climate change. Not too long ago, farmers and gardeners would save the seeds of their best fruit, vegetables, and grains for planting the next year. 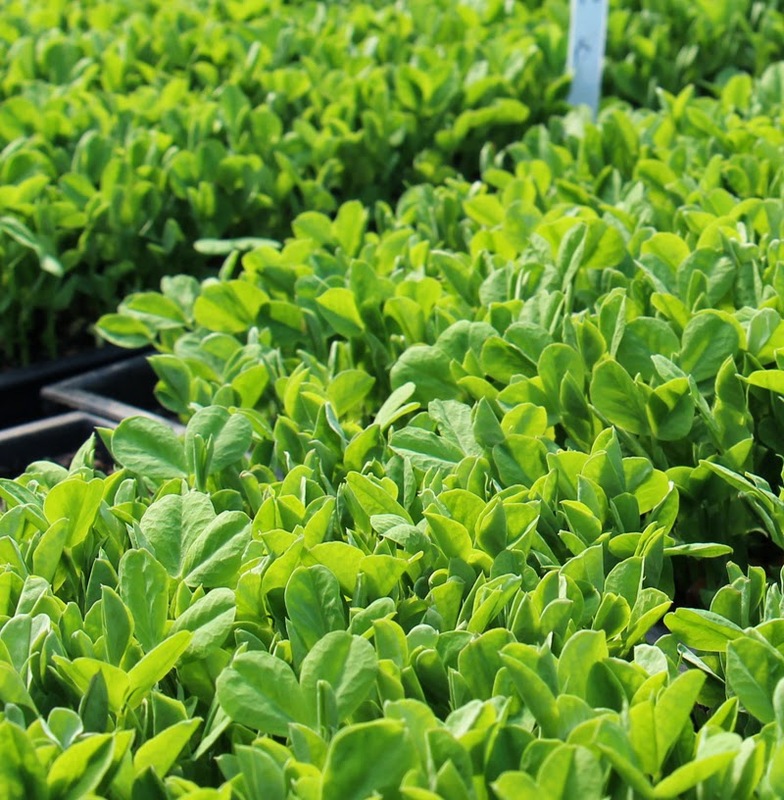 This produced different varieties that could better withstand the always-evolving local disease and pest pressures. The current system of large-scale agriculture uses patented, genetically modified and hybrid seeds. The natural evolution of seeds is interrupted by selecting for traits in a laboratory. Thus, many see the age-old practice of seed-saving to be the preferred response to the climate changes that are upon us. I was tickled pink to find Cliff and Pamela Fox of Our Vegetable Patch. They are all about heirloom seeds. I didn't have an email address or telephone number for them, so I was forced to show up unannounced at their Brewster, Kansas home. As I was trying to figure out whether anyone was around, they came down the street, having just returned from a fishing vacation. They were genuinely thrilled to share their excitement about the 225 varieties of seeds they grow. Talk about good timing and Midwest hospitality! 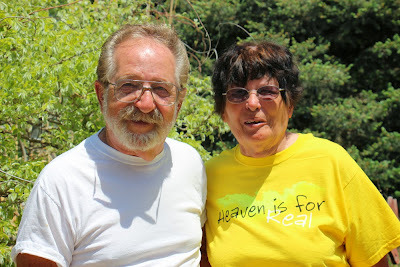 Cliff and Pamela grow their seeds using organic practices, even though they are not certified. Cliff was drawn to heirloom seeds, after trying to track down some Bantam Corn. He grew up with Bantam Corn, a very popular, sweet yellow corn introduced over a century ago. His Dad used to grow it and save seed for the following year. For Cliff and Pamela, it's very important that gardeners and farmers have control over seeds. With GMO seeds, farmers cede control to large seed companies. With hybrids, saving seed generally results in a poor quality product. But with open-pollinated and heirloom seeds, farmers can save seeds from those plants exhibiting the characteristics most important to them. Cliff and Pamela don't feel they face many obstacles due to growing their seeds without synthetic fertilizers, herbicides, and pesticides. Rather, a big frustration is that so many nearby gardeners and farmers use such chemicals. Their next door neighbor uses a boatload of chemicals in her garden. They are working to make sure she doesn't spray on windy days. Farmers in the area use so much synthetic fertilizer that the runoff from their fields has contaminated water sources with excessive levels of nitrates. Cliff feels this has led to localized bee extinction. Current research is not reaching the same conclusion. Rather the research points to huge areas devoted to monoculture, which limits bee-food for most of the year, and to the use of neonicotinoid insecticides. As a seed farmer, pollination is extraordinarily important to Cliff and Pamela's business. But according to Cliff, there is no bee pollination going on. He must pollinate everything by hand. Regardless of the reason, the fact is that Cliff and Pamela say they live in a bee desert. There has been an outcry about the lack of pollinators in California's Central Valley. Bees can't survive there due to the vast swaths of monoculture. The Central Valley provides a huge quantity of the fruit, vegetables, and nuts that the rest of the country consumes. So we moan and groan about the lack of bees in California. Without imported beehives, we would have no California almonds. After visiting Cliff and Pamela, I have to wonder if bees have also died out in Western Kansas. My research yielded very little. Jeff Anderson, a beekeeper in Minnesota and California is often cited. He refers to the large tracts of agricultural land growing corn and soy as the Midwest's killing yards. I couldn't find any beekeeping clubs in Western Kansas. That was telling. Several hours into it, I took a break from my research. Only then did it hit me. The major crops of the Midwest are corn, soy, and wheat. All of these crops are wind-pollinated or self-pollinated. They don't need bees. Journalists don't find bee deaths in Western Kansas to be an interesting story, because farmers aren't losing any money over it, and it is not a threat to the U.S. food supply. Even with the required hand-pollinating, Cliff and Pamela are making a profit. They are both in their 70's. The seed business supplements their primary income from Social Security. Pamela feels that they could easily bring greater efficiency to the enterprise, scale up, hire employees, and really grow the business, but they are comfortable where they are. Right now, between the two of them, Pamela estimates that they spend six hours a day, six days a week on the business. Last year, their net profit was $18,000. And they still get to enjoy a fishing vacation every so often. With so many heirlooms to choose from, I asked Pamela about her favorite variety. She didn't hesitate in her choice of Black Krim tomato. It has a rich flavor, a deep red-purple color, and it is high in lycopene. Studies have shown that lycopene may be linked to improved vision, lowered risk of heart disease, and anti-cancer properties. I thought it was interesting that Pamela would choose one tomato variety over another based on its purported health benefits. There are, of course, a myriad of health benefits reported by researchers. Each study operated with different constraints and the results are mixed. But that is the beauty of saving seed and continuing to grow these heirloom varieties. You are the one who decides what's important. Your choices aren't limited to the handful of varieties that are mass produced and shipped to supermarkets worldwide. There are hundreds of delicious foods in danger of extinction. By growing and selling their heirloom seeds, seed sellers, such as Pamela and Cliff, help keep them available. Starting a seed business is not the only way to make sure heirloom seeds remain in production. There are seedbanks which help in the preservation of heirloom plant varieties. Seedbanks worldwide can send duplicate samples of their seeds for long-term storage to Svalbard Global Seed Vault in Norway. There are a multitude of seed exchange websites where individuals can offer seeds for trade and make requests for seeds they are seeking. In many areas, folks get together once or twice a year to swap seeds that grow well in their area. 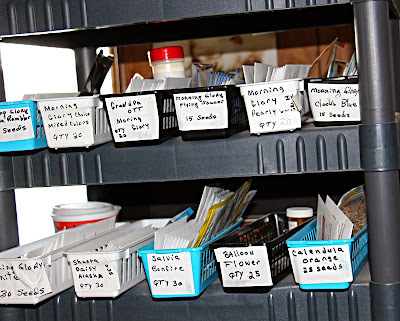 And there are seed libraries, where you can "check out" seeds at the beginning of the growing season and "return" some at the end of the season once the plants have gone to seed. Pamela and Cliff Fox are also contributing to these preservation efforts by growing heirloom plants and selling their seeds online.